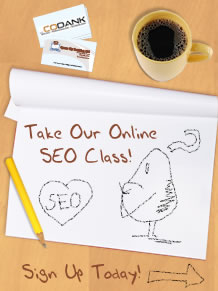 You might ask yourself why is Search Engine Optimization so important? After all you probably direct your customers to your website now and provide a link to your website on business cards and advertisements. If you are satisfied with the amount of business your company is currently producing then budgeting for SEO may not make sense but if you are trying to grow your customer base or reduce your advertising budget SEO makes perfect sense. A well optimized site increases your page ranking when a potential customer is searching for services you provide. The closer you are to the top of page 1, the more likely you are to get the call. Our consultants have several years of unique online marketing experience. We understand how a website is designed, maintained, and what areas can be improved to increase sales opportunities. By conducting in-depth analysis, our marketing consultants are able to make key recommendations to enhance your online brand. Recommendations for any changes will be made. HTML code is checked for accuracy and syntax. Make specific recommendations regarding text elements, URL, filenames, page titles, descriptions, and meta tags. Conduct a thorough keyword analysis to reveal which keywords are driving in the most traffic. Analyze competitors who are in the top 5 to 10 positions for the topmost keywords or phrases. It is best to study the structure, page titles, links, page elements, content, and meta tags of each competitor. Determine where a website ranks for specific keywords on various search engines – specifically for Google, Yahoo, and Bing. Analyze all web page content. Take into account page placement, keyword density, and word count. Examination of both internal and external link structures is conducted. All links should be relevant to the content which is found on the website. From this analysis, a link building strategy will be created for future purposes. A Google designed web analytics application is used to provide companies with a view of their website’s daily, weekly, and monthly activities. The service is absolutely free and can give a business a substantial edge over competitors. Highly targeted search directories attract a substantial amount of intended viewers. The quality of traffic that a site receives can be achieved through directory submissions. This increases the chance of a site reaching its goal conversion. Distributing press releases is one of the bases of any marketing plan. The main goal is to provide the public with an efficient amount of newsworthy facts and benefits about a company. Both local and national publicity is great for reaching potential clients. The initial report will be used to monitor the sites performance on a monthly basis. In addition to rankings and search engine status, indicate where further performance modifications are necessary.